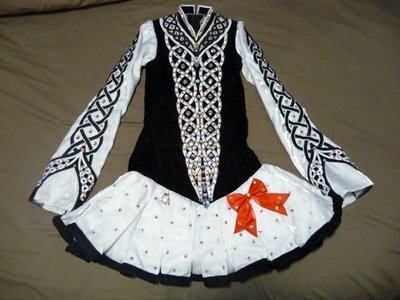 Black velvet bodice with white celtic embroidery. White satin wave skirt with black velvet trim. 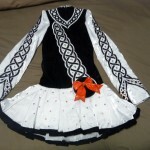 White satin sleeve with black celtic embroidery. All embroidery stoned with large swarovski AB crystals. 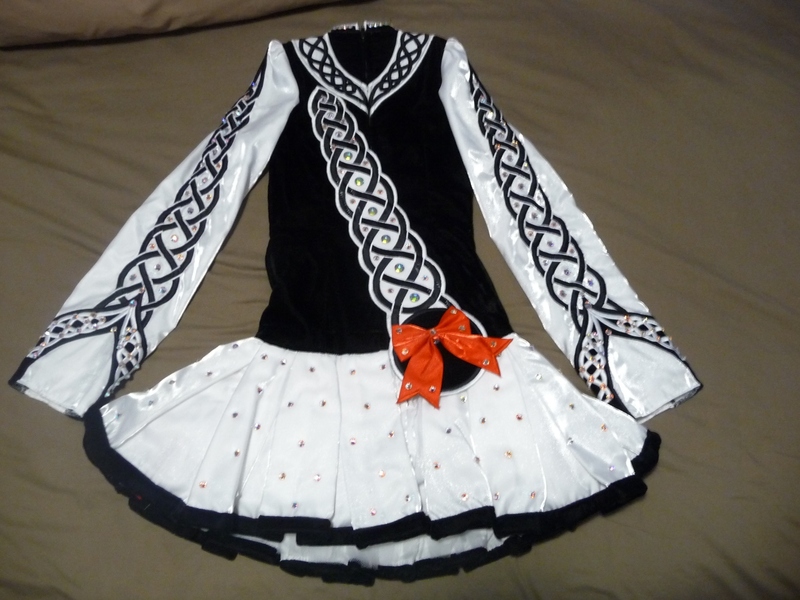 Skirt also patterned with swarovsky crystals, has red lining with red matching bloomers. Dress is accessorised with red bow on front of skirt and on back cape. Looks dazzling on stage, is in excellent condition and from a pet and smoke free home. Let out in bodice is 4″. Bodice can also be shortened. Asking Price: $AUD950.00. Shipping costs are not included in the asking price. Sale is final.